David Simon has been an organist since the age of twelve, when he was organist for Daily Mass, recorded and broadcast nationally from St. Michael's Cathedral Basilica in his hometown of Toronto, Canada. He has since held church music positions in Canada and the United States and has played recitals and accompanied choir tours in North America and Europe. 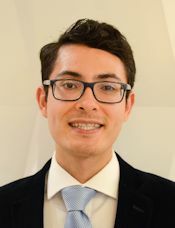 Simon is currently a DMA student at the Yale Institute of Sacred Music, studying with Thomas Murray, and is an Associate of the Royal Canadian College of Organists and the Royal Conservatory of Music. In addition, he maintains an active Youtube channel of his recordings, compositions, improvisations, and transcriptions. Nicholas Walters is a Master’s student in Organ Performance at McGill University in Montréal, QC where he studies with Hans-Ola Ericsson. First-prize winner of the 2017 Lynnwood Farnam Organ Competition, Nicholas enjoys an active schedule of recitals in Québec and Ontario. 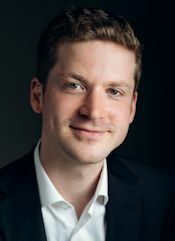 He was recently appointed as Assistant Organist of Christ Church Cathedral, Ottawa, having been Organ Scholar at the Presbyterian Church of St. Andrew and St. Paul in Montréal from 2015-2017; he also maintains an internship at the Church of St. Irénée in Montreal, where he explores performance practice considerations of Gregorian Chant. Nicholas has been the recipient of many awards and achievements at the graduate and undergraduate levels. He also holds an Honours degree in Chemistry from Queen’s University, Kingston, which allows him to enjoy occasional contract work in the Canadian nuclear industry. Samuel Lee, an Ottawa organ student, has studied the organ with Karen Holmes since 2010, and has also completed his B.Mus. in Piano Performance with David Jalbert at the University of Ottawa. During his studies with Karen Holmes, Samuel gained the diploma of CRCCO in 2014 and the ARCCO in 2016. Having achieved the highest marks in Canada in both the practical and written sections of the ARCCO examination, Samuel was awarded the Willan Scholarship, the Wayne C. Vance Scholarship, the Rollinson Prize, and the Ruth & Ralph Barker Prize. In 2018, Samuel will begin a Masters Programme in Organ Performance and Church Music at McGill University with Christian Lane and Hans-Ola Ericsson. Samuel hopes to become a concert organist, as well as a professor in a university some day. Godfrey Hewitt, C.D., D.Mus. (Cantuar), FRCO, Hon. ARSCM, died in 2002 at the age of ninety-three. For over seventy years a prominent figure in sacred music in Canada, Dr. Hewitt left a very significant legacy to Canadian music. Born in England in 1909, he came to Canada in 1931 after serving as Organist for the Archbishop of Canterbury at Lambeth Palace, London, in 1930. He became Organist and Master of the Choristers at Christ Church Cathedral, Ottawa, in 1931, and remained there for half a century, until his retirement in 1980. In 1973, Dr. Hewitt was awarded the Lambeth Doctorate of Music by the Archbishop of Canterbury; he was made a Member of the Order of Canada in 1976. He was famed as performer, teacher, composer, and organ designer. This scholarship was established after his death both to honour his memory and to increase the number of highly-trained professional Canadian organists, not only to serve as organists in universities, concert halls, and churches, but also to teach future generations of performers and church musicians. Previous winners of this scholarship were Craig Humber (2005), Isabelle Demers (2006), Michael Unger (2007), Ryan Jackson (2008), Matthieu Latreille (2009), Shawn Potter (2010), Wendy Nieuwenhuis (2011), Stephen Boda (2012), Sarah Svendsen (2013), Julie Pinsonneault (2014) and Rachel Mahon (2015) and Shane Murphy (2016). There is also a Godfrey Hewitt Prize of $5,000, awarded as the Grand Prize bi-annually at the National Organ-Playing Competition at the RCCO National Organ Festival; the next Prize will be awarded in July 2019 in Halifax.